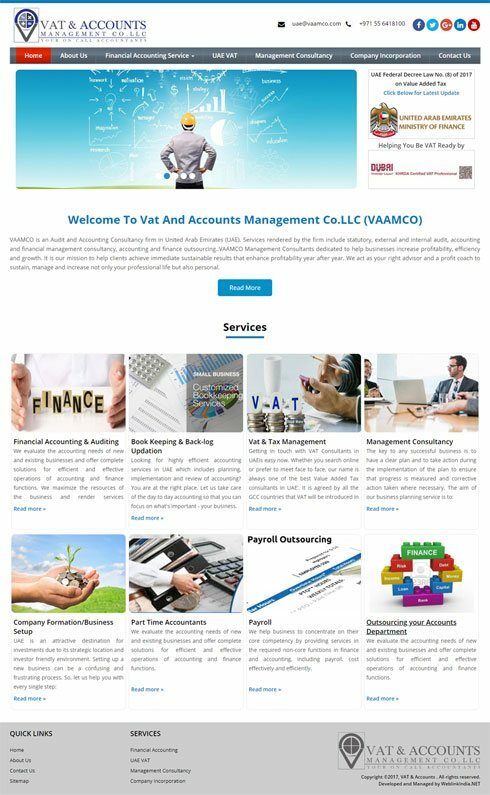 Financial Website Designing Services | Best Financial Web Design Company. When in the finance industry, having a website that speaks your credibility and makes people trust your company is indispensable. The design of a website belonging to the financial companies needs to be descriptive as well as engaging. The web designers at WeblinkIndia.Net understand the importance of incorporating innovative design elements in the website of a finance company to make the visitors stay while also imparting important information. With our financial web designing services, we design a website that reflects your professionalism and makes your target audience trust your company. More than anything else, a Financial Website should speak of your credibility and build trust in your name. Exploit the experience of WeblinkIndia.Net for giving this feel to your online portal. With a profound understanding of your business and its potential clientele, our team of professionals chalks out a specialized plan for your Financial Website Design. With the professional tone and look we provide to the site, your company also appears to have the same level of adeptness. You can add pages, post new finance articles, edit staff bios, and whatnot, through an easy to manage Admin panel. In this industry, the services are of a complex nature and thus the website needs to communicate with more clarity. Our writers understand the industry-specific jargons and simplify them for your audience to cognize what exactly you are offering them. It is a fact well-understood by all that without effective marketing, you cannot tap the real potential of your business. Therefore, our services are not limited to website development but also for making it SEO friendly. We fabricate our web designs with relevant imagery and use various UX/UI elements that enhance the functionality of the website. Fosbury Consultants Private Limited is a Kochi (India)-based organization engaged in providing excellent advice regarding tax, finance, and legal issues. Our consultation has been useful for diverse companies across different industries. Our services are available for different clients across India and UAE. For India, our consultancy is provided for direct tax, indirect tax, constitutional law, corporate finance, arbitration law, etc. Our website has been designed, developed, and managed by a Delhi (India)-based website development and E-commerce company named, WeblinkIndia.Net Pvt. Ltd.
Dingbooks is an organization that is involved in providing financial advice and accounting solutions to the companies across Sharjah (UAE). We aim to become a trusted partner of our client by providing simple and cost-effective solutions, a dedicated accountant for their company, online access round the clock, and complete reliability. Our expert team of accountants manages the accounts of the companies that avail services from us. Our detailed website is designed, developed, and managed by a Delhi-based website development company named, WeblinkIndia.Net. Choose WeblinkIndia For Designing Financial Website – Here’s Why?